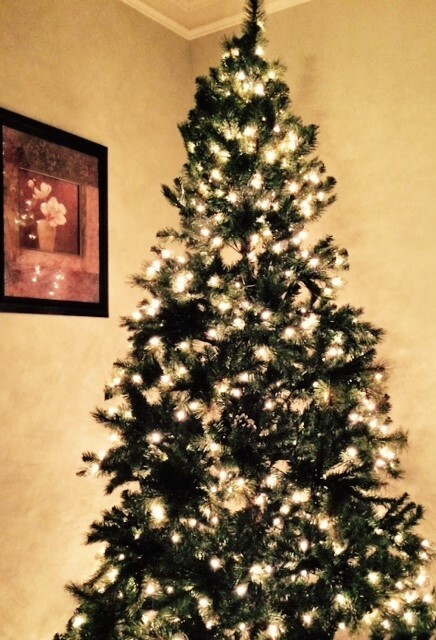 Last night, I put up the Christmas tree but haven’t added the decorations yet. I love to see the lights shining brightly, reminding me that He is the light of the world. It also reminds me to allow His light to shine through me. Tonight I will decorate the tree but I am anxious to have Christmas lights on our porch as well in order to share the Light of the World with our neighbors. What an opportunity to share the Gospel! I am so thankful He came as a babe in the manger knowing He would become the sacrificial lamb of God that we may be saved. This lamb, however did not stay dead. He arose from the dead; conquering death. We may have everlasting life in Heaven because He lives. What did John the Baptist say when he saw Jesus coming? Perhaps I should find a lamb decoration to put on the tree! I must get busy decorating the Christmas tree so enjoy the lights and remember who they represent.